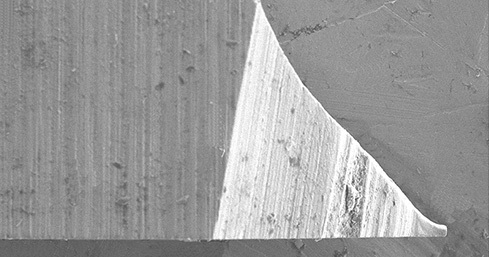 Features - FineParts Co., Ltd.
springs is a mere 0.06mm. 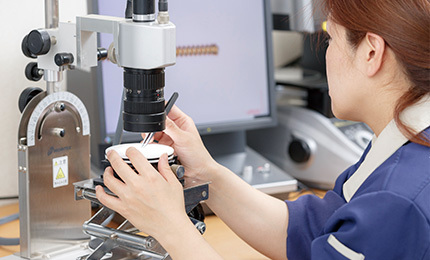 Our springs are the smallest in the world, finer than a strain of hair, and these springs are built with the "Monozukuri" spirit of FineParts Co., Ltd., an enterprise in Japan. 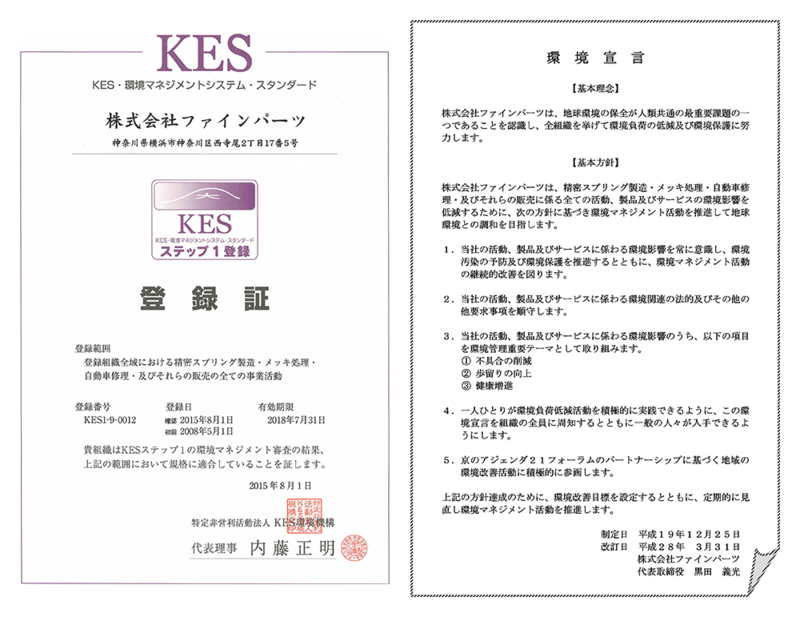 "Monozukuri" is a word that refers to a worker applying time and effort and putting his or her heart and soul into work while aiming for a perfect result, but this word also refers to an "attitude for handling manufacturing" that is characteristic of the Japanese. 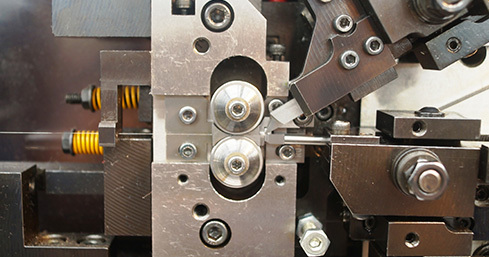 While receiving demands from manufacturers all over the world who are concerned with the further decrease in size and further refinement of products, we continue to handle the challenges of FineParts. The spring masters breathe life into the coiling machines. 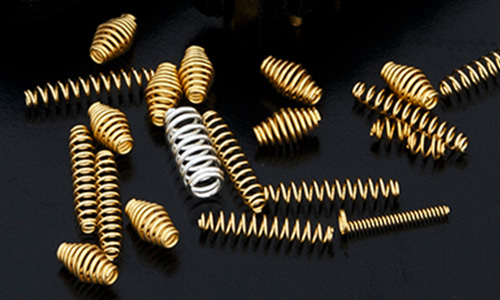 Being able to produce the smallest springs in the world is solely thanks to spring masters. such as "core arbors" that are the heart of coiling machines, are handmade and ground one at a time. that is not possible in machinery is expected. The technologies of these various skills are gathered to complete these FineParts products. The size of the "core arbor" is decided by the inner diameter of the spring. 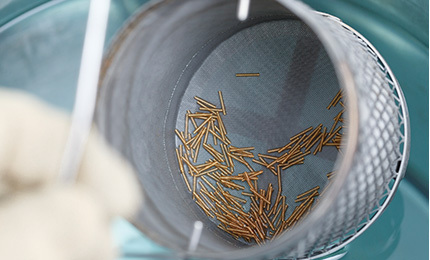 All of our over 100 coiling machines are used for extremely small spring sizes with wire diameters of 0.2 mm or less. difficult specifications and require short deadlines. Please inquire regarding the functionality (load, durability, etc.) of contact probes and the dimensions of components (plungers, barrels, etc.) that you are looking for. Making use of know-how from our many years of experience, we are able to create the most suitable design proposal for you speedily. 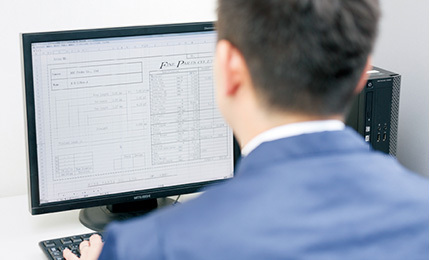 We are able to respond to orders of any size, from a small amount of prototypes to large-scale productions. 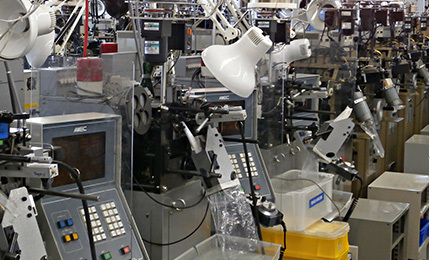 Because we have introduced over a hundred coiling machines in our production facilities, we provide a production capability of up to 70 million units per month (including units for ballpoint pen tips). The skill of the worker is contained in each spring. We can provide nickel plating and gold plating in-house. Because we are able to reduce the length of time necessary for performing custom plating, we offer a significant short delivery time. The external appearance, as well as the measurements of all dimensions and of the load, are strictly inspected in the final inspection that is conducted in a class 10,000 clean booth. Also, with thoroughness of traceability, it is possible to trace back to the very beginning of the manufacturing process.